With breathtaking views of Mt. 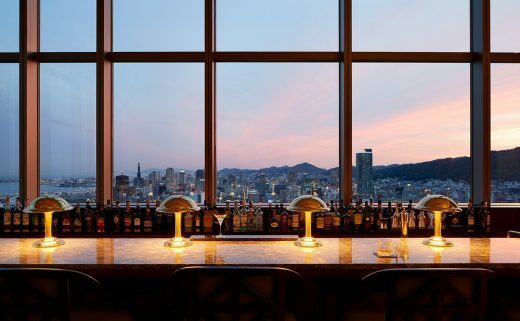 Rokko to the north and a vast waterscape to the south, Kobe sits as a strip of land with phenomenal views both inland and to the sea. 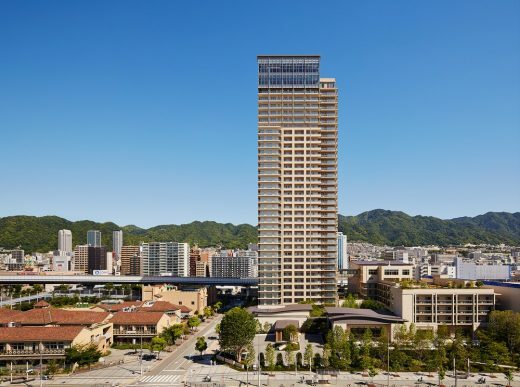 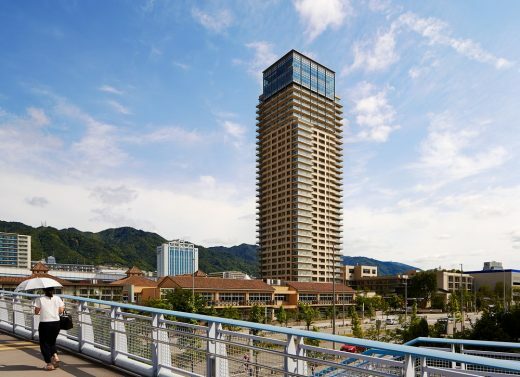 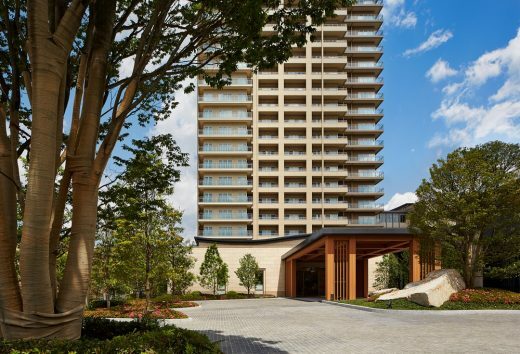 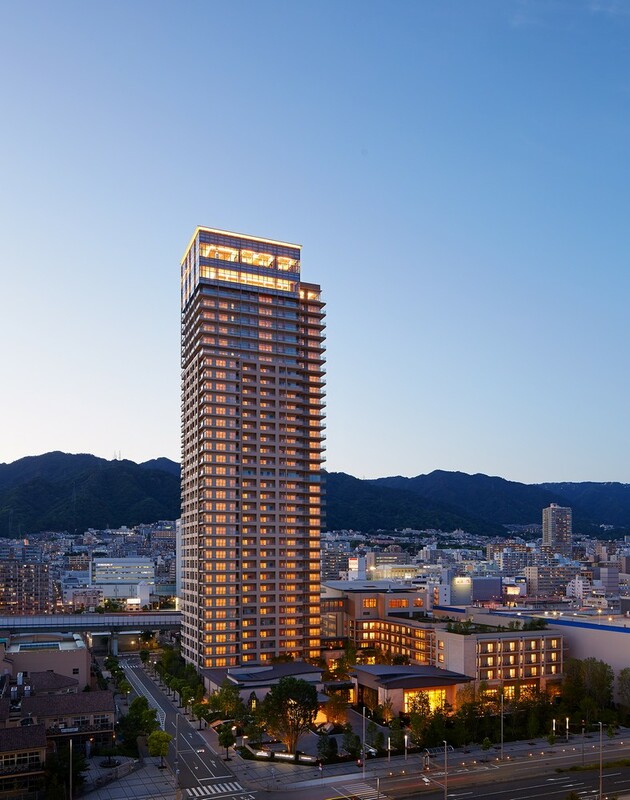 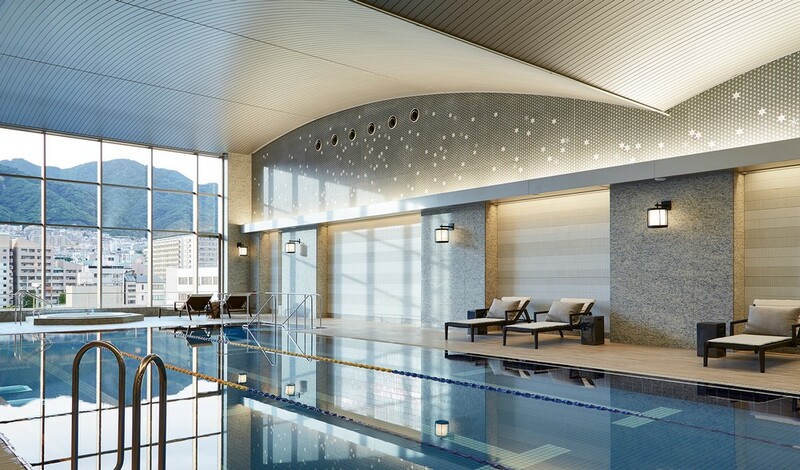 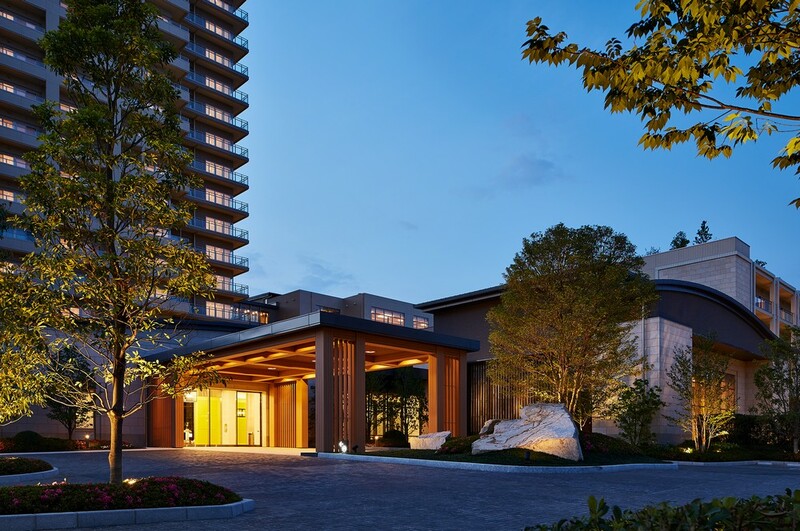 Located one block from the Kobe Sea on a tree-lined boulevard that includes the Hyogo Prefectural Museum of Art and several national museums, the 500,000-square-foot Sun City Kobe Tower complex provides the ultimate in senior living through attention to detail and amenities, resulting in a vibrant community in which residents can thrive. A Japanese screen-like porte cochere is near a large, serene, water feature at the entry. 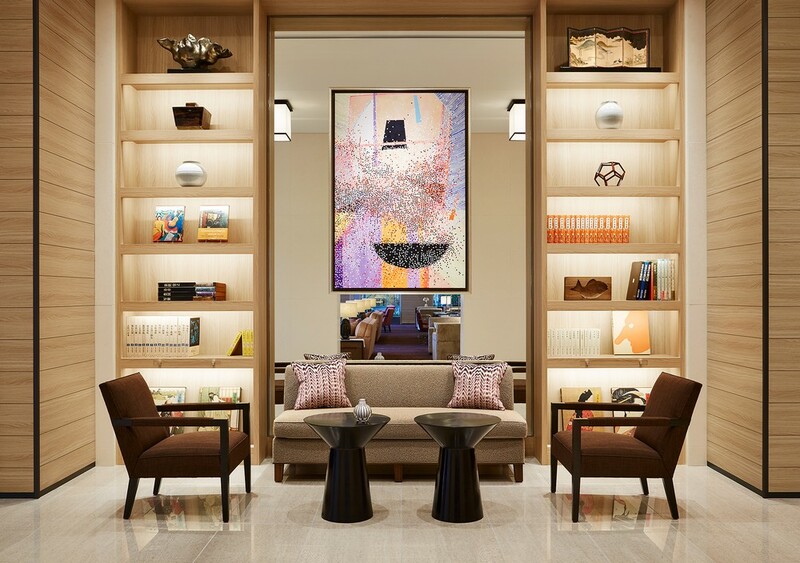 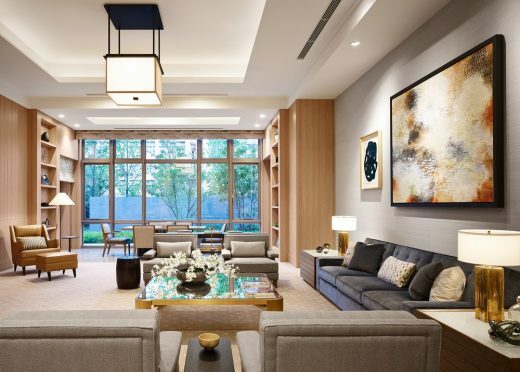 A garden level promenade circulates around the central courtyard offering continuous garden views, access to amenities, and encouraging resident interaction. 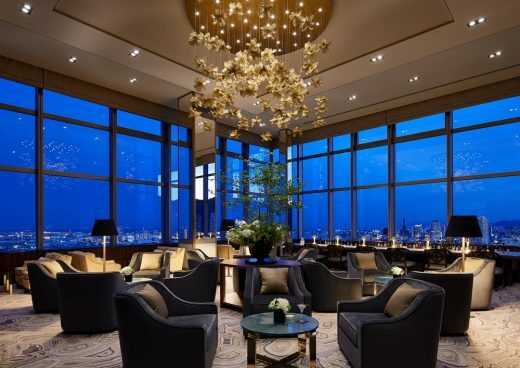 The architectural strategy for the tower was to create a ‘lantern’ expression at the top of the tower that contains all the largest residential units and the project’s main restaurant and bar. 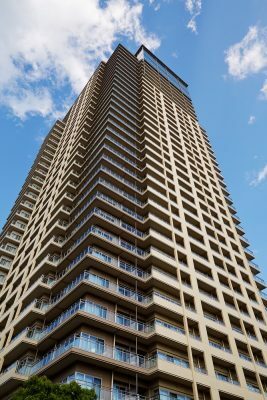 The composition of the tower facade conveys a very modern design, with an inter-locking of volumes and minimalist glass guardrails. 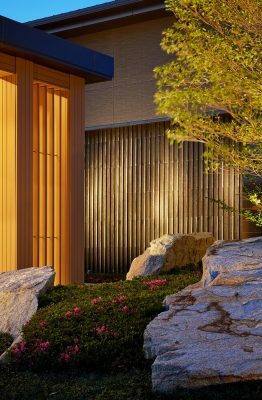 The gently shifting colors combined with careful massing create a slender and asymmetric façade. 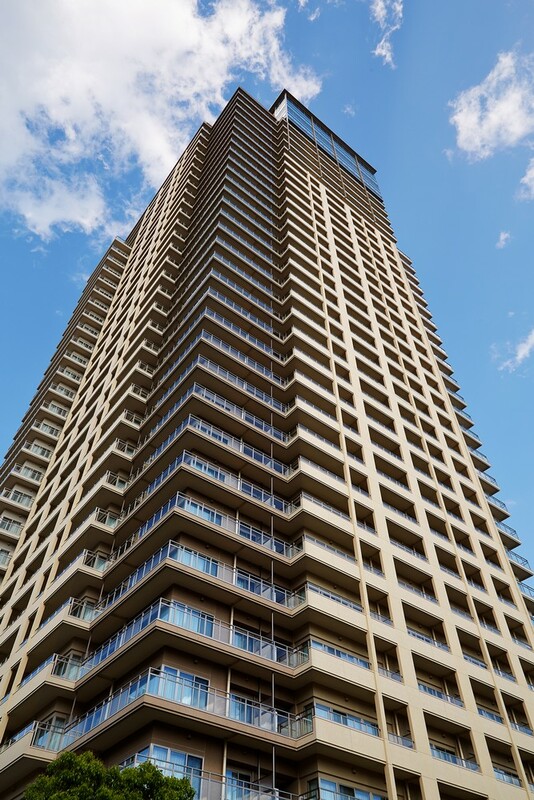 Most of the tower residences have ocean and city views and the form of the tower produces many corner windows. 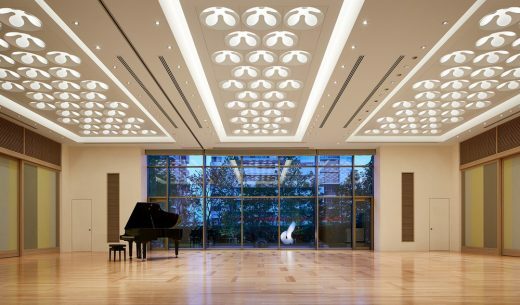 The interior was developed in tandem with the building and landscape design to create a seamless environment. 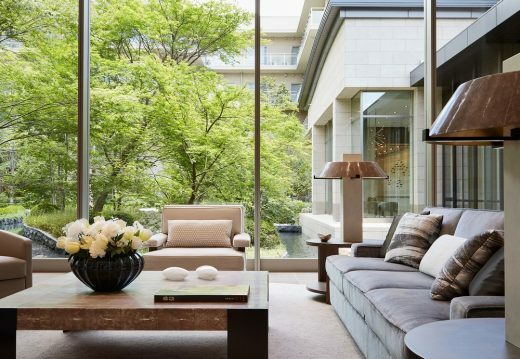 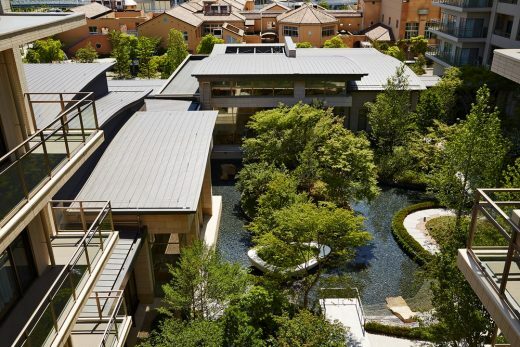 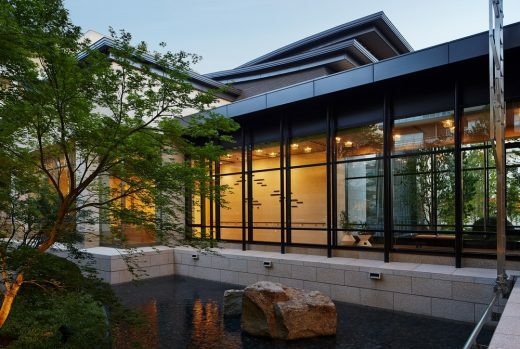 The interior design concept was to create a “peaceful harbor” for those within its walls and gardens – a place of tranquility and comfort, beauty and serenity. This concept drives the selection of interior materials, colors, and atmosphere. 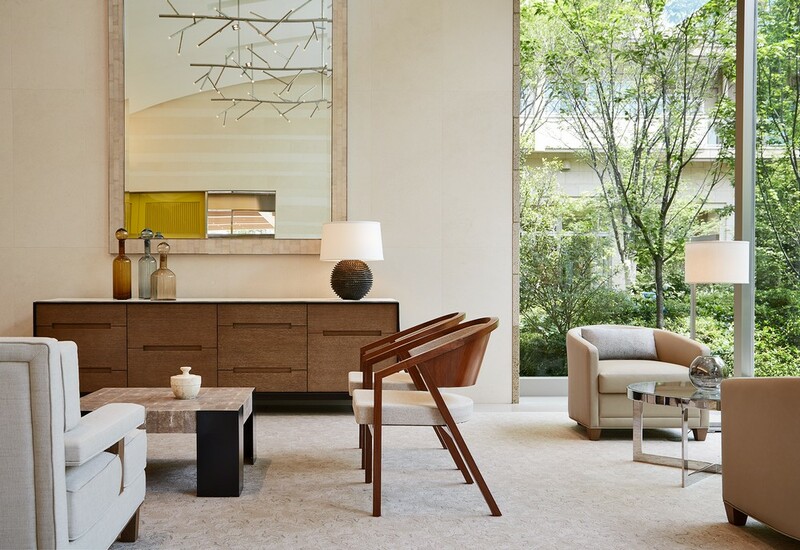 At the ground level, light wood, white stone, fresh colors and garden views create a casual, relaxed mood in keeping with the waterfront location. 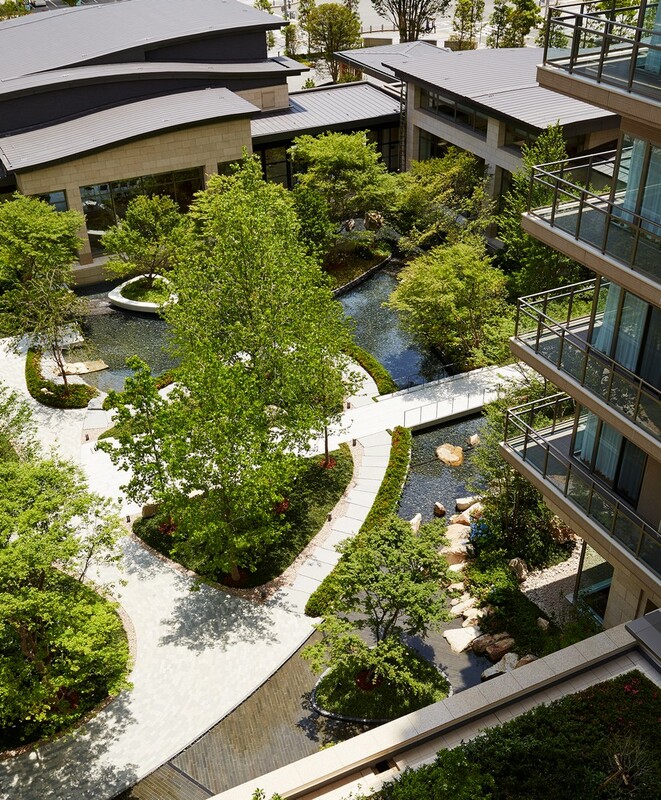 Reception, library, activity, tea lounge and Sun City Hall all look into a luscious garden oasis. On the 6th floor, there is a roof-top pool, and ofuros for men and women. 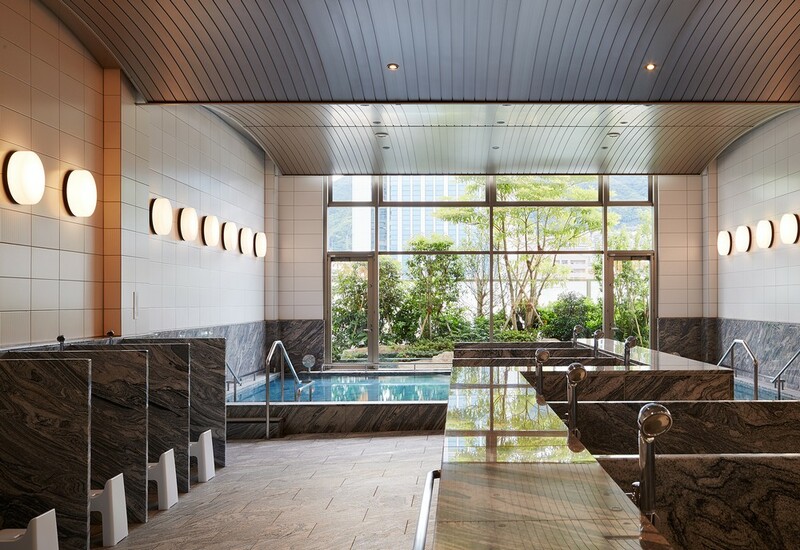 Here one is close to the city views yet high enough to enjoy the privacy and serenity of a luxurious spa environment. 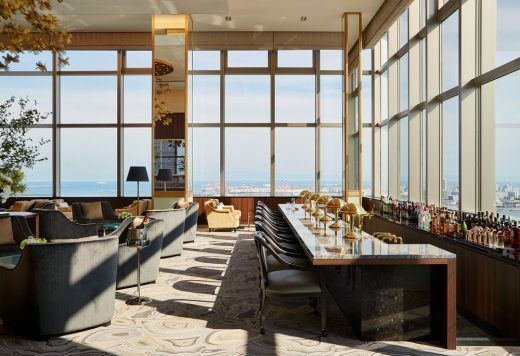 At the top of the tower are the 34th floor and 35th floor dining and lounge spaces, where dark wood, luxurious stone, rich colors and expansive windows create a dramatic frame for the views of city, sea and mountains. 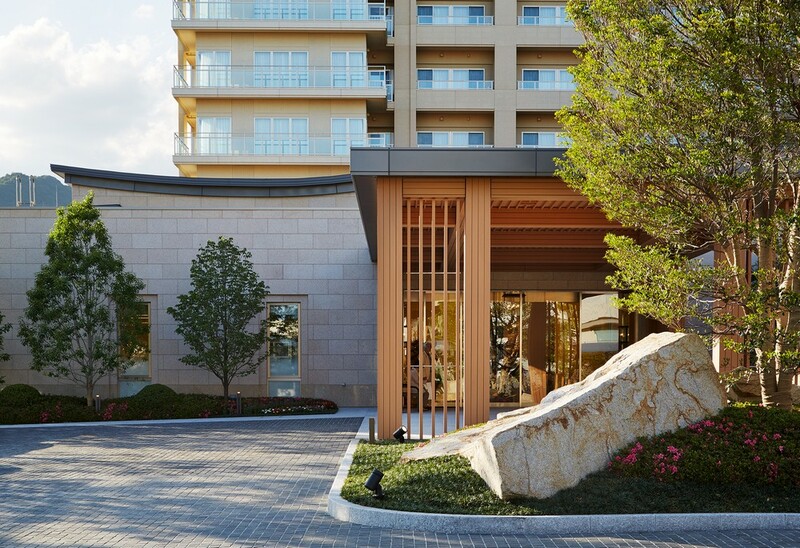 The graceful and elegant spaces combined with the varied landscapes below offer residents an amazing level of comfort and opportunity.